Product prices and availability are accurate as of 2019-04-11 18:51:14 EDT and are subject to change. Any price and availability information displayed on http://www.amazon.com/ at the time of purchase will apply to the purchase of this product. 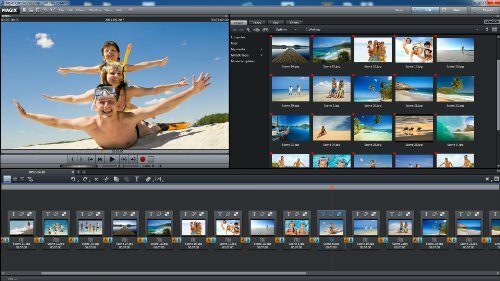 The plus version of MAGIX Movie Edit Pro 2013 comes with a variety of extras such as: 99 tracks, more templates, 2D and 3D video editing, multicam editing, travel route animation, advanced audio dubbing (i.e. Dolby Digital 5.1), etc. 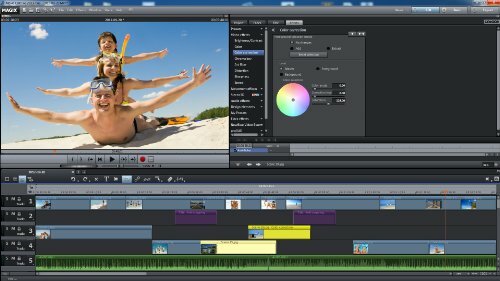 Developers at MAGIX worked hard at making the new version even faster and more efficient, and they were successful! AVCHD file import has been improved and is now more than 40% faster. Rendering test projects (AVCHD Full HD) with Intel Quick Sync Video, AMD/OpenCL or NVIDIA CUDA for the Apple iPad is now up to twice as fast as in previous version. When activating hardware acceleration, your graphics card will be automatically recognized by the program. Calculating effects directly on the graphic card's GPU is therefore now over 90% faster which represents the biggest speed boost out of all the improvements. 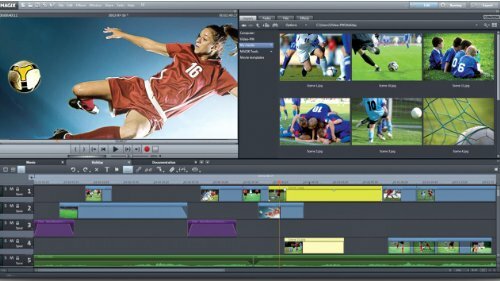 The new chromakey engine allows you to create impressive video effects in movie quality. 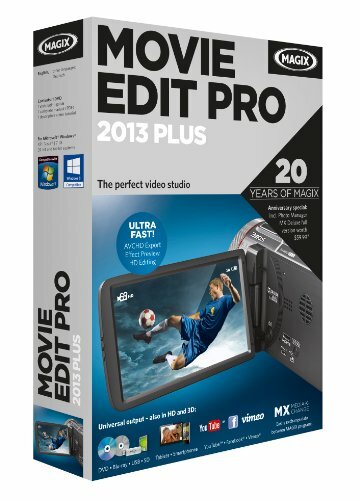 Simply record footage of people or things in front of a plain-colored background and layer new photos or videos on top of it - just like a green/blue screen. 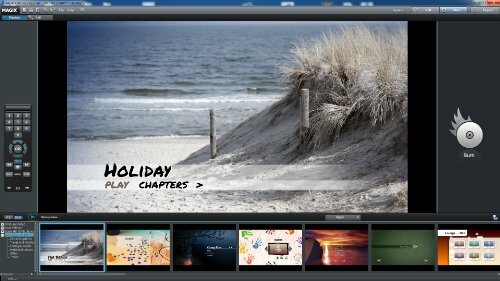 As in previous versions, finished projects can be burned to DVD/Blu-ray or shared online (e.g. on YouTube, Facebook, Vimeo, etc).